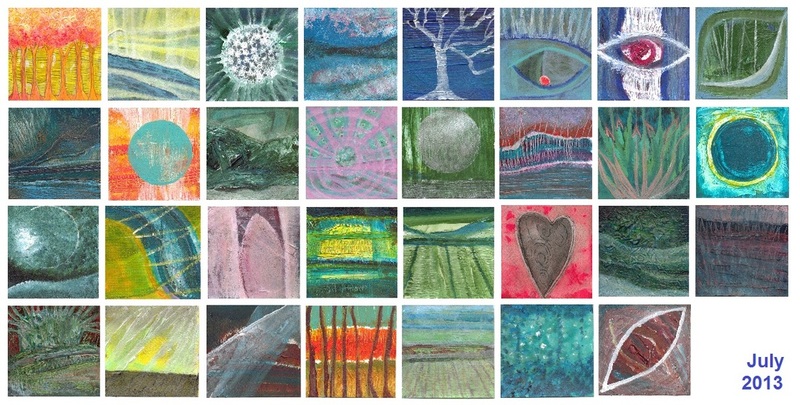 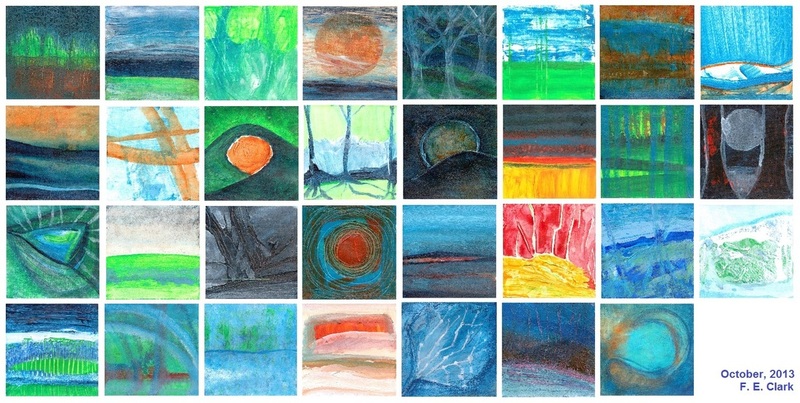 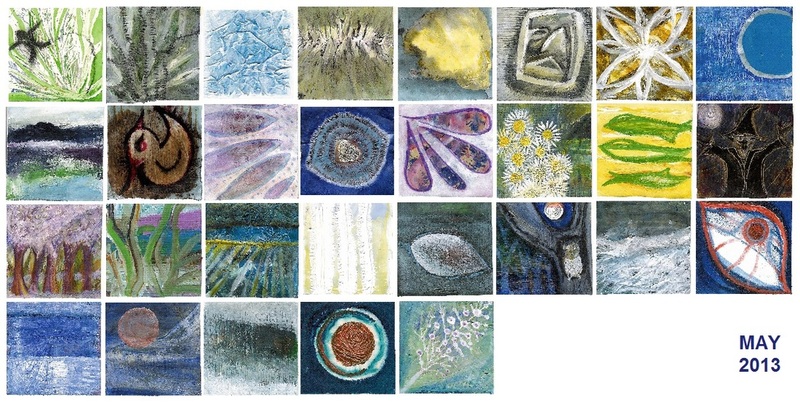 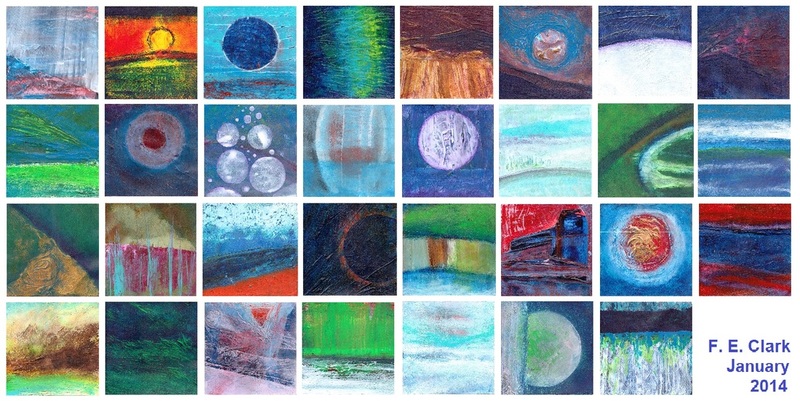 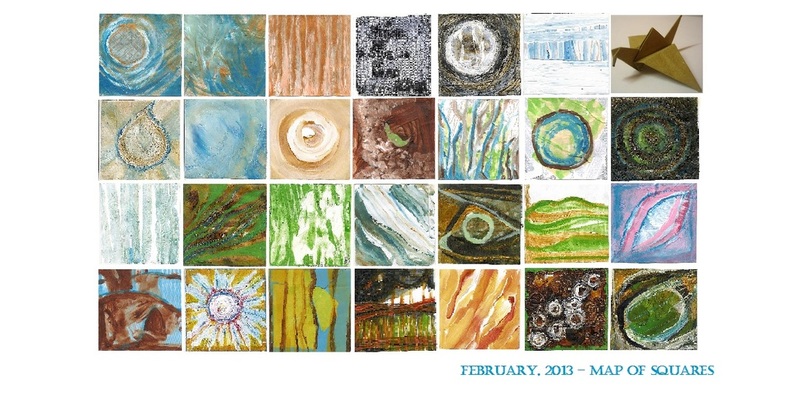 These are 'maps' or grids of my first year of daily paintings - one for each month. 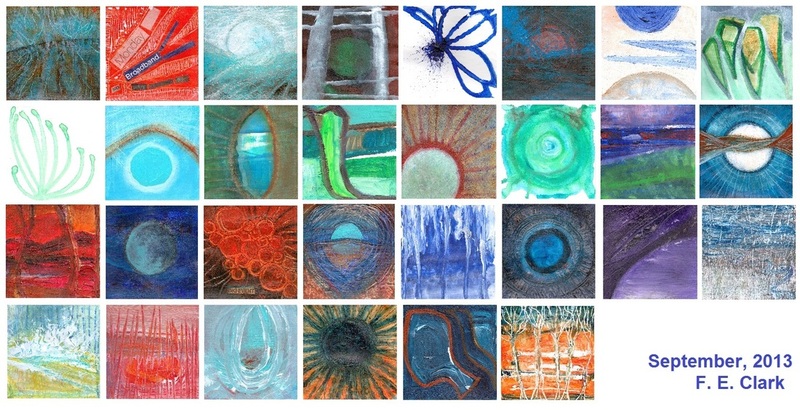 I have enjoyed seeing how a month's worth of paintings look together. 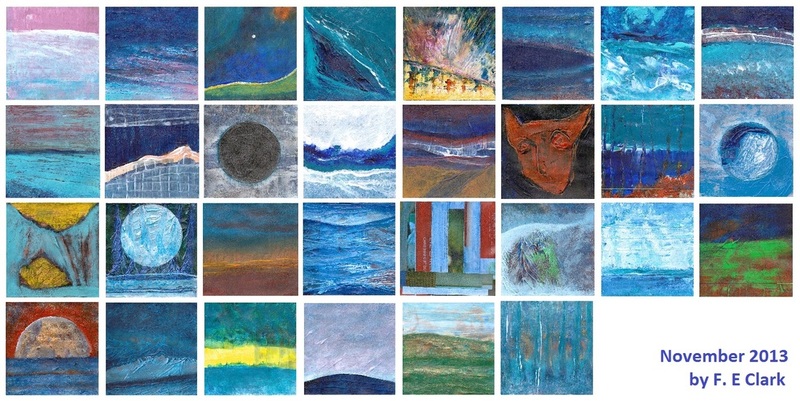 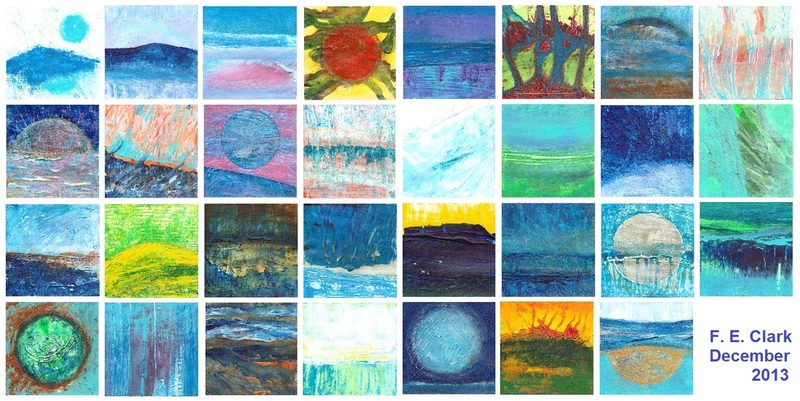 These are digital collages, the actual paintings are all acrylic on paper and individual pieces- varying from 3" to 5" square. 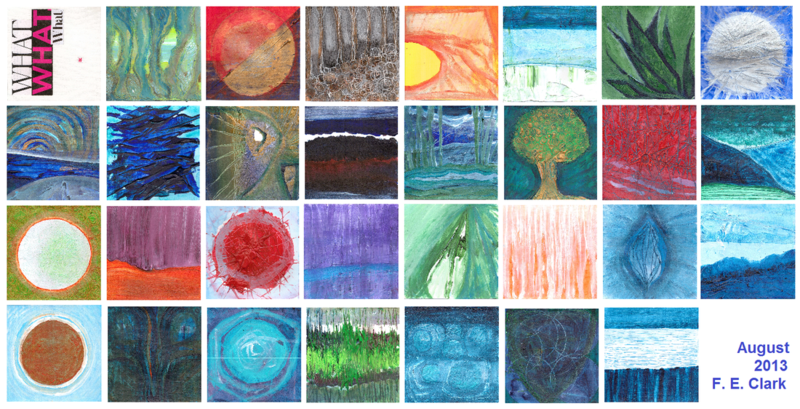 Available for sale - from £20 to £50 + p&p - enquiries welcome.